Everyone wants Ozone therapy. Ozone for the treatment of LYME, co-infections, herpes, hepatitis, HPV and other chronic infections. We have gotten so busy with ozone therapy that we added Saturdays and Sundays to accommodate patients traveling long distances. Fight Chronic Lyme Disease with Ozone Therapy. I recently had the pleasure of speaking with some of the top Lyme doctors and labs in the country. Dr. Fry from Fry Labs in Arizona originally trained as a microbiology doc before he attended medical school. Frye Labs tests for and identifies protozoa in human blood that create biofilms. Chronic disorders are associated with "polymicrobial biofilm communities." These organisms embed in mucosa. They are classified as "polysaccharide-secreting communal microorganisms" and they promote immune system evasion, treatment resistance and chronic smoldering infections that are difficult to treat. Biofilms have been identified in Lyme, Lupus, Chronic Fatigue Syndrome, MS, Fibromyalgia, ALS and atherosclerotic arterial plaque. Identification of protozoa and other bacteria associated with known diseases may play a critical role in getting better treatment results. Dr. Fry knew about ozone therapy and understood the clinical benefits of it. Igenex is great first testing for Lyme and co-infections using PCR analysis. Advanced Labs in PA cultures Lyme bacteria to amplify it to see if it is alive. I and my patients want to know if we are looking at past antibody production or are we looking at an active disease state? Recently, one of my patients was one of the first to be offered a new test from Labcorp (covered by insurance) C6 Peptide panel for Lyme. C6 Peptide is supposed to be a more sensitive test that will differentiate previous infection from an active one. Now we use Empire City Labs in NY because they offer advanced Lyme and co-infection panels covered by most insurances and they do the draw at your house. No extra charge. Ticks have been referred to as "nature's dirty needle". Lyme-infected ticks transmit Lyme and a host of co-infections that keep patients chronically ill long after initial treatments. 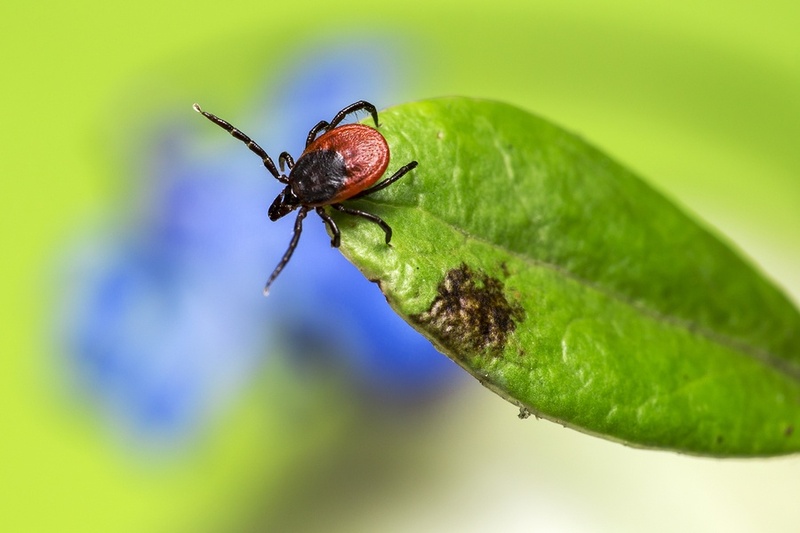 Drugs used for Lyme are not as effective for co-infections long-term. The Lone Star tick once based in the Southeast is expanding north into The Great Lakes region and New England. One bite from this tick creates an immune response that makes it's victims allergic to red meat. It is usually permanent and patients can have severe reactions from hives to anaphylactic shock after eating beef, pork or venison necessitating them to carry an epi-pen at all times. Researchers believe this antibody immune response is to the tick's saliva. The tick may also secrete blood coagulants that thicken the victim's blood and create an invisible cloak or biofilm to protect the tick from treatment. Our immune system is wired to recognize and fight any exposure to a carbohydrate called alpha-galactose. Alpha-galactose is present in The Lone Star tick and The Castor Bean tick in Europe. "Tick-bite victims who have B-negative blood type are at highest risk for developing a red meat allergy." The Lone Star tick carries and transmits the The Heartland Virus. Confirmed Heartland virus cases are from Missouri, Tennessee and Oklahoma with patients presenting with fever, loss of appetite, muscle and joint pain, nausea and very low white blood cell and platelet counts. Heartland is a virus so antibiotics do not work. Babesiosis is like malaria and some who get infected feel fine like one of my patients. He had an acute episode and then was able to function for several years before I diagnosed his condition. Unfortunately, babesiosis is a prevalent contaminant in the our blood supply because blood donors are not screened for it. We test and treat Lyme and co-infections. Ozone Therapy is a safe and effective treatment for Lyme and co-infections. Let's discuss which Lyme test is the best test for you. You have testing choices and treatment options. Fever, muscle aches, relapsing fever are associated with this new pathogen. 4 percent of healthy people in Southern New England are positive with miyamotoi. Miyamotoi was as prevalent as Lyme in the San Francisco Bay area in a study last year. 'I was first diagnosed with Lyme disease in 1998 with a host of symptoms which included joint pain, vertigo, whole body tingling and severe bladder sensitivity. Then in 2010, I developed nasal and sinus swelling which was also diagnosed as being from Lyme disease. Because of this, life has been quite difficult for me, both personally and professionally. Over the years, I had tried a gamut of treatments, both medically (accumulated years of antibiotics, both oral and intravenous) and holistically (herbs, vitamins, acupuncture, homeopathy, etc) and got limited relief at best. When I had met Isadora Guggenheim, she began chelating out my metal toxicities and then mentioned ozone therapy. I was nervous to try IV ozone but Isadora Guggenheim put me at ease by answering all of my questions with her kind beside manner. In addition, Dr Enzenbacher very much adds to making my ozone treatments both enjoyable and relaxing at the same time. After just several ozone IV treatments, I began to feel improvement and in addition, felt the unexpected result of increased energy. I have had more and more good days and feel like I am getting my old life back. Ozone therapy makes a lot of sense to me as to how it gets results and I am lucky and thankful that Isadora Guggenheim is available to administer this therapy to me! I encourage anyone who has any health problem to try ozone therapy! A.K. No matter what you're pathogen is named I.V. Ozone is safe and effective at eliminating viruses, bacterium and fungal infections. If you've tried everything else it's time to try Ozone.